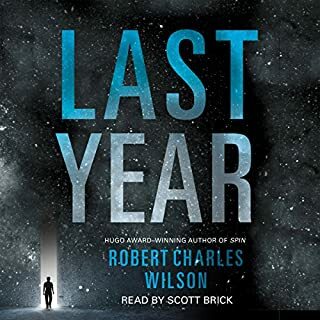 In the near future of Robert Charles Wilson's Last Year, the technology exists to open doorways into the past - but not our past, not exactly. Each "past" is effectively an alternate world, identical to ours but only up to the date on which we access it. And a given "past" can be reached only once. After a passageway is open, it's the only road to that particular past; once closed, it can't be reopened. By leaving the apparently worthless contents of his safety deposit box to Theo, however, the professor has set him on a quest of epic proportions. A journey that will rewrite the laws of physics. A battle to save humanity itself. 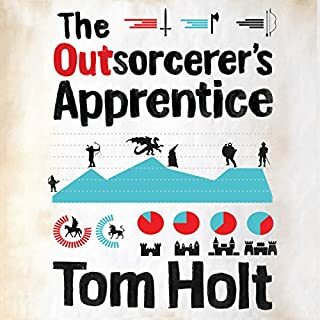 Tom Holt has created a group of quixotic characters and a vast universe of world for them to play in. I really hope audible gets the portable door series as well. 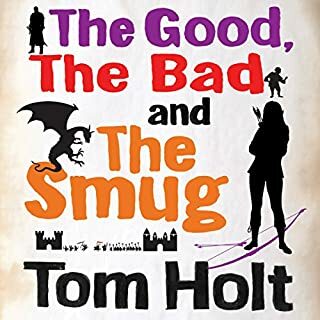 If you like Pratchett, Moore and the like you will enjoy this series as well. A confection. I liked the use of language, including lots of hilarious similes and resonant alliteration. But, character development was thin, and there wasn't much arc of growth evident in any of them, so it was hard to care, hard to root for anybody. This so-far-so-what quality made the book easy to put down, though not to the point of hard to finish. There were lots of surprises. By the end, however, they all seemed like the same surprise over and over, shampoo-rinse-repeat, so the last bit send devoid of any emotion. Bottom line: finishing, but not worth buying the sequel. I had no idea what I was getting into, especially since I have never read anything by this author. It's such a fun captivating read! I would recommend it to anyone who wants a fast passed science based adventure. 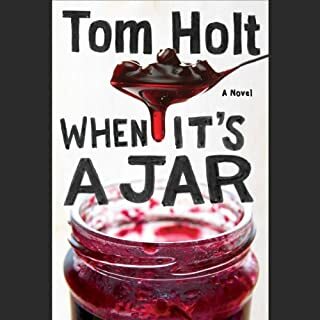 I adore some of Tom Holts books but this one disappointed. It drifted with little purpose; a string of alternate universes with a thin plot. I don't have much patience for the alternate universe trope when it seems more an exercise to demonstrate a writer's imagination than valid plot. If you like alternate universe scenarios, read his Portable Door series ( with 'In Your Dreams', and 'Earth,Air, Fire & Custard'). In that series the alternate realities contribute to the story. For slapstick fun, free of the alternate universe gimmick, I recommend 'Who's afraid of Beowulf'. 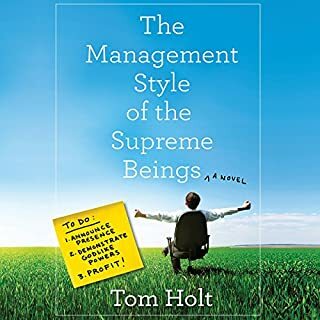 In other words, Tom Holt writes better books but Audible can't or won't get them. This is my first experience with Holt. The story line is rather frantic and out there but worth sticking to it in my opinion. Along the line of Pratchett and Piers Anthony. The end made it worth the wait. I'm looking forward to the next story. The book is read well, and it keeps your attention at the start. But about mid way through, its like a bad movie that has been unnecessarily extended with filler just to make it longer. The book has so much filler in the middle I was tempted to stop listening. Good Book, but the audio seems out of order. I'm going to try and download the book again, I haven't finished the book yet but Part 2 seems to be jumping around to different sections and there is a 10 minute period that gets repeated. I walk a few miles through Central Park every day. Listening to audiobooks helps me keep going when I feel like bailing out. Today, as I began my walk, I was about to fire up Doughnut, which I started yesterday on a flight back from Atlanta. I felt my heart sink when I thought about listening to it during my walk -- I already wanted to bail out of the walk rather than listen to the ten remaining hours. If that's not a sign to bail out of a book and not force-finish it, I don't know what is. So I started a new book and was so engaged that I went an extra mile just to keep listening, and am already looking forward to continuing it during tomorrow's walk (and every walk for the next week or so, as it's 28 hours long). So clearly, I did the right thing. 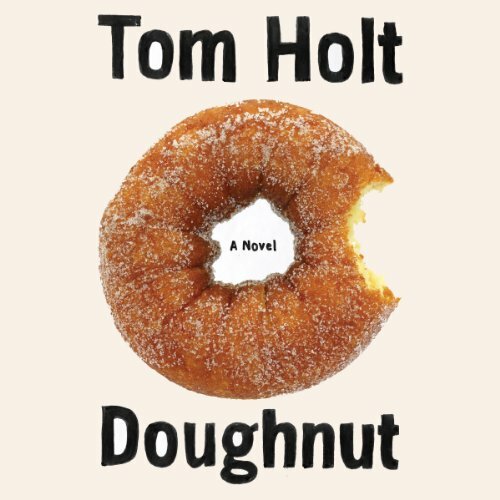 I knew nothing about Doughnut or Tom Holt before getting the audiobook in a recent sale. But this is not the first time I got a book I knew nothing about by an author I never heard of just because it had a once-bitten donut on the cover (I'm American, that's how we spell donut, and obviously I like donuts). The first time turned out great -- Company by Max Barry, so good that I've since read all his books. This time, though, the donut cover theory of new authors did not work. 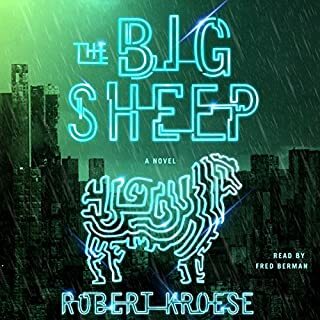 I may eventually, if I ever get through my huge backlog of audio titles, give this book another go, being a fan of alternate universe tales that try to be funny in the manner of Douglas Adams. That's a big part of the problem. If you try to be funny like Douglas Adams, you have to actually be funny. Mocking the name of the Large Hadron Collider by calling it the Very Very Large Hadron Collider, that's not my idea of funny, that's my idea of lazy. And that's one of the most accessible jokes in the first four hours -- although, to Holt's discredit, he repeats it at least two dozen times in that span. So that's that, as far as I'm concerned. The only way I can be helpful is to recommend you listen to Company by Max Barry instead, especially if you feel (as I did) that it's important to have a donut with a bite taken out of it on the cover. an amusing sci fi story. the narrator has a great voice and does accents well for various characters. i laughed out loud quite a few times. the story line is funny and not too difficult to follow as Theo moves all around the universe. If Arthur Dent was a physicist and the hitchhikers guide was a bottle that allowed you to travel to multiple versions of the same reality. If you like Douglas Adams or Christopher Moore you will find this a practical and enjoyable use of your time. If you do not like these type of books...this is not for you.